The Society generally meets on the third Monday of the month from September to April, apart from December. the meeting is then held on the second Monday of the month. Doors open 7:15pm ready for the meeting at 7:45. 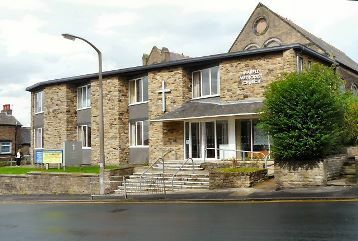 Access is via the main entrance on Church Lane (opposite Mount Drive) and the meetings will be held in the church itself on the ground floor. The church includes a hearing aid loop system which is most effective for people sitting near the side walls and in the rear pews of the church. Visitors are welcome to attend at a cost of £3. But look below for details of our Membership bargains! The annual subscription for the Society is £10 for 8 meetings,so there's a bargain you can take up ! This also allows participation in the Society's trips. Membership is available at all meetings. Use the menus on the right to browse our past and present meeting topics. There are double yellow lines immediately outside the church, but there is limited on street parking further up Church Lane on the right hand side, down Empress Avenue and on Mount Drive. There is a large car park, Chadwick Street Car Park, (SK6 6BY) between Trinity Street and Chadwick Street, Marple. Access is from Stockport Road onto Trinity Street and from Church Lane onto Chadwick Street, exit is made via Trinity Street, in the direction of Church Lane. It is a pay and display car park, however, at the time of writing, October 2014, parking is free after 6pm. The only experience most of us have have ever had of a load-bearing equine would have been donkey rides on Blackpool beach so it was with some fascination that we listened to Donald Reid talking about packhorses. They were virtually the only means for transporting goods in bulk from mediaeval times until the Industrial Revolution when the development, first of turnpikes, then canals and finally railways, gradually put them out of business. The original packhorses were operated singly by peddlers, using these horses to carry their wares but this soon developed into trains of horses and they became essential for such early industries as mining, textiles and salt. Many of the routes crossed or ran alongside the Pennines because they were particularly useful in rough, steep and difficult terrains. Many of the packhorses were originally Galloways, a breed that was mentioned by Shakespeare, because they were strong, nimble and patient and tolerant to working in close proximity to other horses. Each packhorse could carry over 200 pounds in weight - roughly two hundredweight - but the load had to be as evenly balanced as possible. There were special saddles designed to support panniers or to hook on bales and some of the horses wore bells to give warning of their approach. There are certain markers to show that you are getting old. The age of policemen; when a new arrangement of a pop song becomes a hit but you remember the first version; the procession of decennial birthdays - twenty, thirty, forty etc. Tonight we discovered a new marker – when the guest speaker at the History Society gives a talk on something you remember quite distinctly from your youth. Ian Morison related the story of Jodrell Bank and for many of us it was a journey down Memory Lane. There are three main elements in the project for Revealing Oldknow’s Legacy - Marple Aqueduct, Mellor Mill and the Lime Kilns. The aqueduct is well-known and has just been repaired; excavations at Mellor Mill are well under way; but what about the Lime Kilns? Do they deserve more prominence and is anything happening to make them more accessible? Who better than the County Archaeologist for Greater Manchester, Norman Redhead. Our own local historian, Judith Wilshaw, gave us the first talk of 2016. Appropriately for a local historian, it was a local subject - Compstall - and she managed to distill the essence of this neighbourhood in her talk. Compstall pointed the way to an industry-wide developments in cotton manufacturing. It was created from scratch as an integrated concept where one company carried out all stages of the process from spinning through to dyeing and printing. 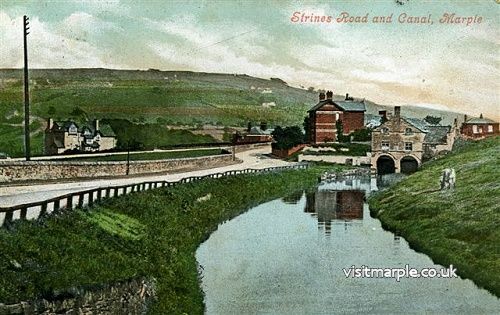 Although it was a rural backwater it had some key advantages for a new industry - water power from the Etherow, coal from local mines and good transport links via the Peak Forest Canal and the network of new turnpikes to Stockport, Glossop, New Mills and Buxton. 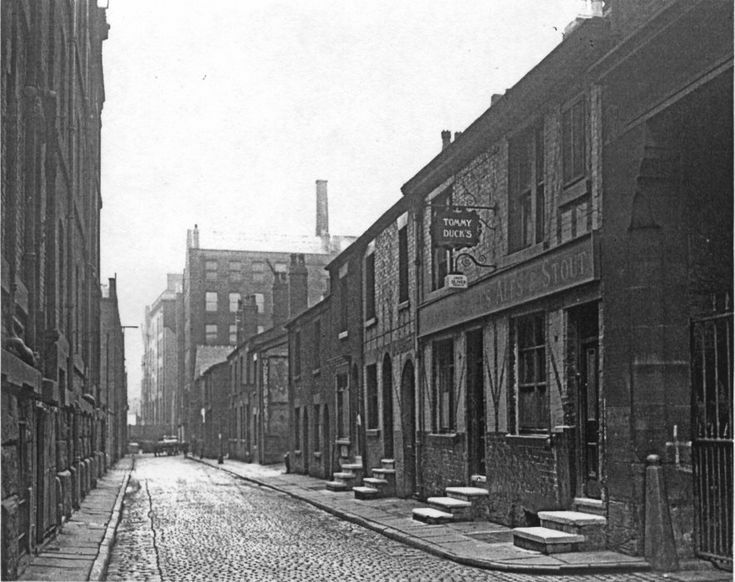 However, Manchester in the nineteenth century took slum dwelling to new extremes. No one was more qualified to describe this than Mike Nevell, our speaker. As Head of Archaeology at the University of Salford he has been involved in investigating living conditions across the Manchester region for more than twenty years. With detailed investigations at over 200 sites it is possible to give the human background to the Industrial Revolution. Whitworth Park,Ruth Colton, our speaker, arrived in Marple as a newly minted PhD. That very afternoon she had passed her final oral examination and could now call herself “Doctor.” Although she was not able to advise upon the various aches and pains endured by our members she did deliver a fascinating talk on the development and use of Whitworth Park. Her particular interest was in how the children were supposed to use the park and how they actually used it in practice. She had been part of an archaeological team excavating in the park and a lot could be learned from the detritus lost or thrown away over the years. Describing this in the context of the park history brought the subject to life as it contrasted the “top down” influences of the powers that be with the “bottom up” influences forced on the park by the children. 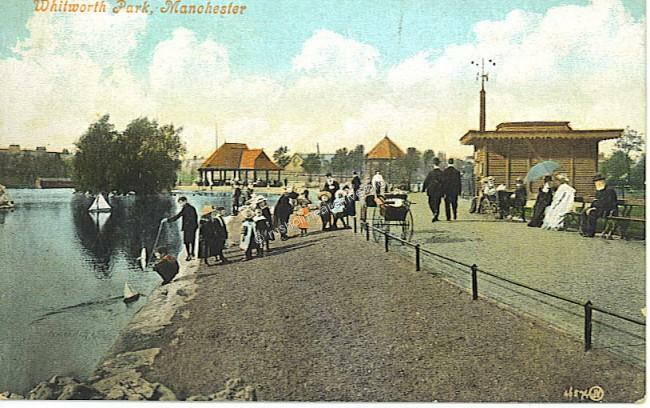 The adults might prefer the bandstand and the meandering pathways but the children congregated behind “the Mound” where they could play out of sight of the grown-ups. We are the Marple Local History Society so you could not have a more local subject than Brentwood – an appropriate end to a memorable season. 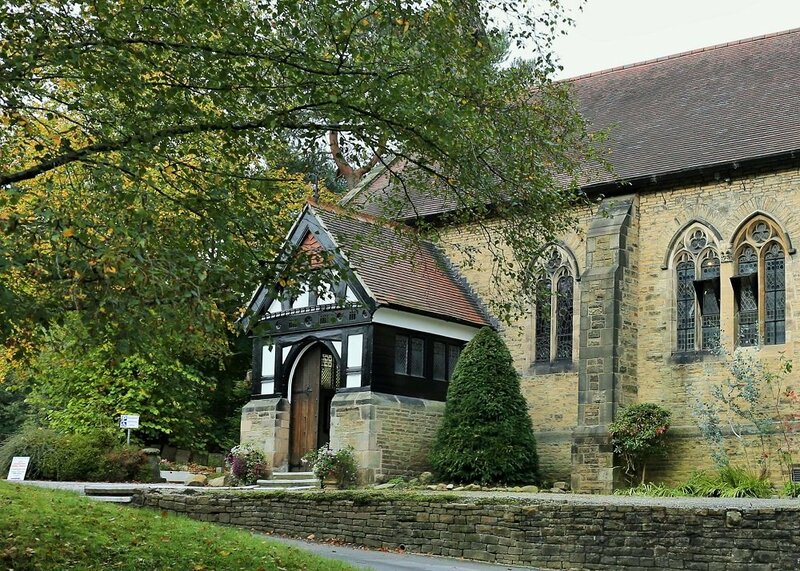 Brentwood and its residents were an integral part of Marple society for over thirty years and many visitors came to the meeting with experiences and anecdotes to relate. Michael Lambert shared some of his PhD research with us and, in return, we shared with him some of the atmosphere and anecdotes from those days more than half a century ago. 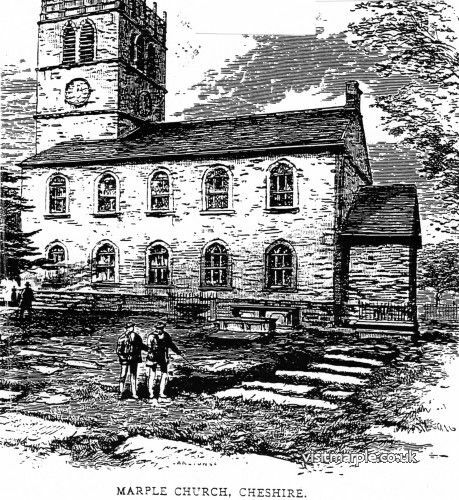 In May this year, I was asked by Philip Alston, the Children and Families Worker at All Saints Church, to help with a project about Samuel Oldknow, involving two classes from All Saints school. Together with Philip we assisted teacher Heather Manning to plan the project for Years 1 and 2. It involved the children recreating the apprentices’ walk from Brick Bridge up to the church, climbing over stile at the back of the Churchyard. The children dressed up as apprentices and as you can imagine, a good time was had by all! The weather was kind and the walk was filmed for the DVD that is being produced as part of the Revealing Oldknow’s Legacy project. A series of summer walks emerged from the AGM questionnaires, which many members completed. 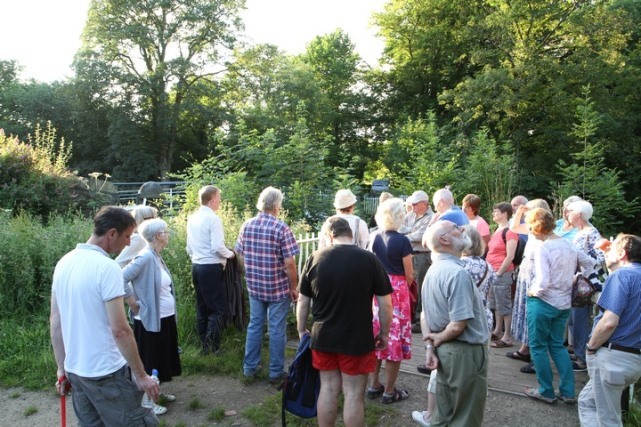 These have proved a successful extension to the Society’s ‘season’, outdoor ‘meetings’ in Marple, Marple Bridge and Hayfield. These four walks, in the months from May to August, were led by Hilary Atkinson, Neil Mullineux and Judith Wilshaw. Proving very popular, they may be continued next year. Paul Callaghan will open up the season, with the story of Trafford Park. Trafford Park has had a central place in the history of industrial Manchester. This first industrial estate in the world was developed in the outskirts of the city, in the extensive grounds of the de Trafford estate, adjacent to the Manchester Ship Canal. 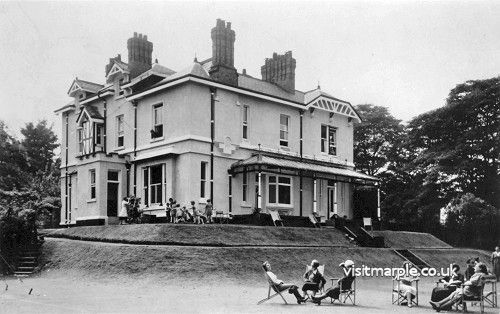 At the heart of the estate was De Trafford Hall, which boasted over 40 bedrooms, servant’ quarters and a private chapel. Unfortunately, the Hall was destroyed by the blitz of 1940. In 1889 George Westinghouse, set up British Westinghouse, and also built a ‘village’. Over 700 houses were built, along with schools and shops. In the twenty years to 1931 over 300,000 Model T cars were produced in the Ford factory, the first Ford factory outside America. At its peak in 1945, the park employed 75,000 workers. After a decline in the 1980’s, by 2012, an estimated 1500 companies employed over 56,000 people. 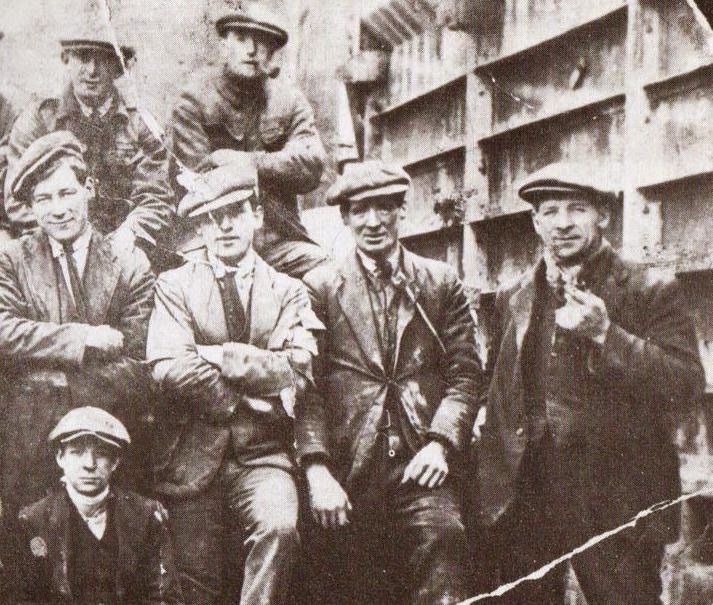 A group of men employed by Redpath and Brown Engineers in Trafford Park and the photograph was taken in 1925. Saint Martin's Church is an Anglican church following the traditions of the Anglo-Catholic Oxford Movement. It was established in 1867 by Mrs Hudson, the lady of Brabyns Hall. Built during the Arts and Crafts era and extended in the Art Nouveau period the church contains works by William Morris, Dante Gabrielle Rosetti, Sir Edward Burne-Jones and Ford Maddox Browne. The Architect was John Dando Sedding. Later extensions feature the work of architect Henry Wilson and includes works by Christopher Whall. St. Martin's, a Grade II listed building, will be the subject of this second talk of the season, delivered by Anthony Burton. ‘The railway was opened to the public on Saturday last, July 1st. Great numbers of people assembled at New Mills terminus to witness the arrival and departure of the trains. The distance between New Mills and Marple is commonly called ‘a good hour’s walk’, but it is now easily accomplished by ‘Puffin Billy’ in seventeen minutes. Great taste has been displayed, and the comfort of the passengers studied, in the erection of the station house.’ This was how The Glossop Record reported the exciting news of the New Mills Central Station opening on Saturday 8th July 1865. 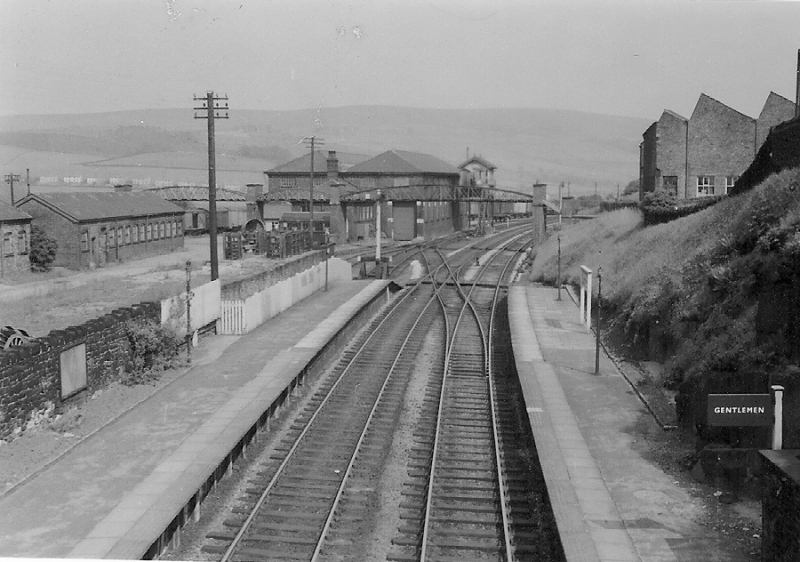 Derek Brumhead, a friend of the Society, will reveal the history of New Mills railways in this month’s talk.